Evening or morning bath time, depending on your routine can go one of two ways; like a dream, where everyone’s having a great time, bubbles are floating around, we’re all giggling and having the most wonderful time – smooth, stress-free and done in less than 20 minutes. Or…..it can feel like wrestling a drunk alligator who just bathed in Jell-O. 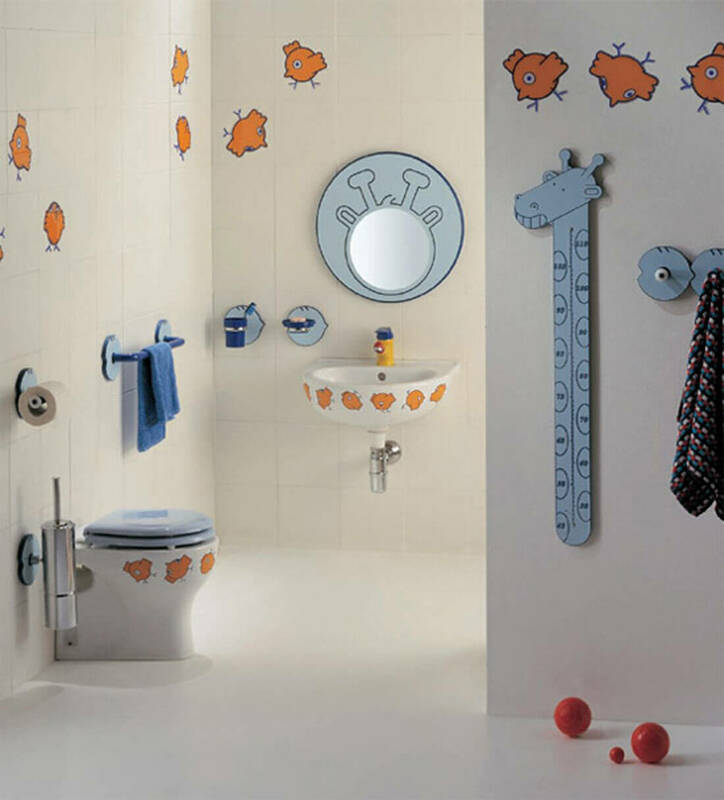 Now, while I don’t have the secret recipe to making it option one all the time, I can suggest some pretty Bathroom interior design to make your bathroom fun and safe for your kids. Aside from the fun and colorful stuff (which I’ll come to later), there are some practicalities to consider that can make showering or bathing easier and subsequently safer. Removeable or handheld showerheads provide flexibility for Mum and Dad, without being restricted to one area of the bath where the shower is positioned, you can unhook it and take it to the child or follow them around the bath as needed! It’s also important that your little ones are getting the best quality water when they shower. Some areas are affected by poor quality or “hard” water, in these areas it’s recommended to install a filter so as to ensure your children (and you of course!) get the best water to look forward to at bath-time. Non-slip pads can be stuck on the bottom of the bath, you can even get the kids to help with this. 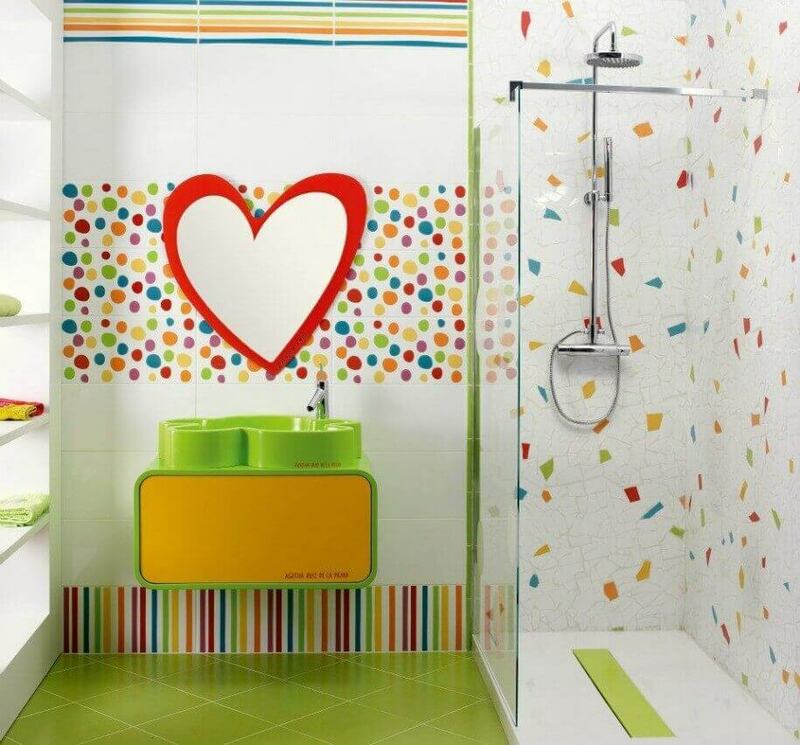 Use colorful pads to brighten the bath, if you have more than one child you can use different colors for each one, sort of like creating zones for each child to stay in and also making sure nobody falls over. Wrapping a hair tie underneath the pump of your soap or shower bottle means that if the kids do get hold of it and start to pump like crazy, it will only dispense a small amount at any one time, avoiding any soap-sud related dramas. Why not have the kids decorate their own little mason jars? They could write their names and create their own uniquely designed storage jar which they can then keep their toothbrush and toothpaste in. 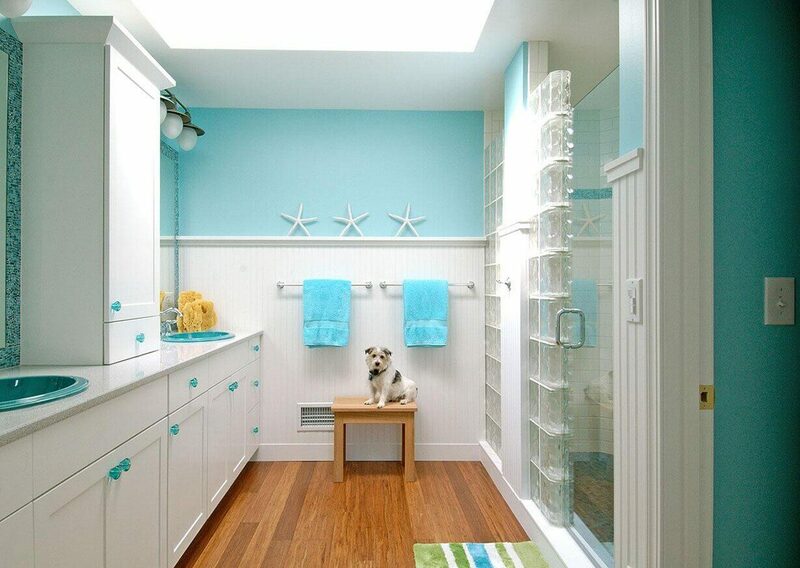 Colorful plastic baskets can be placed around the bathroom, to attempt to keep some sense of order, at least before and after bath time. Again, ask the children to pick them and paint or color them and take ownership, so they can put their bath toys in them at the end. Color is key and I would imagine this depends on your children. 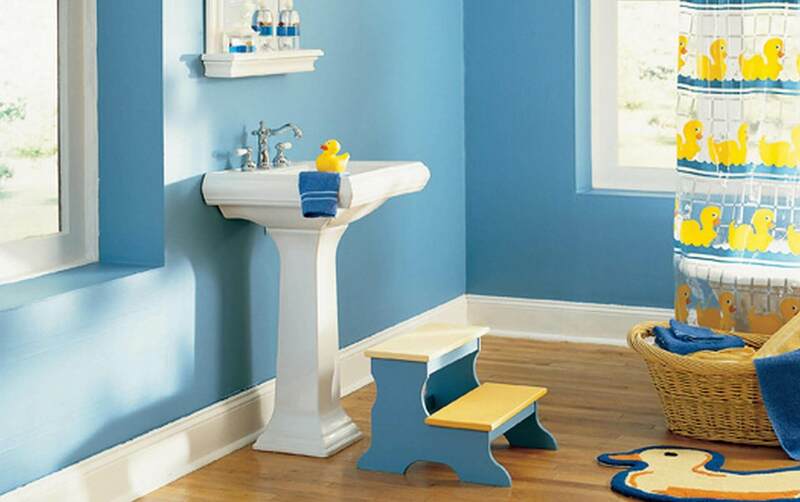 Bright colors will create a fun and exciting environment; different color letters or building blocks and bathroom toys. 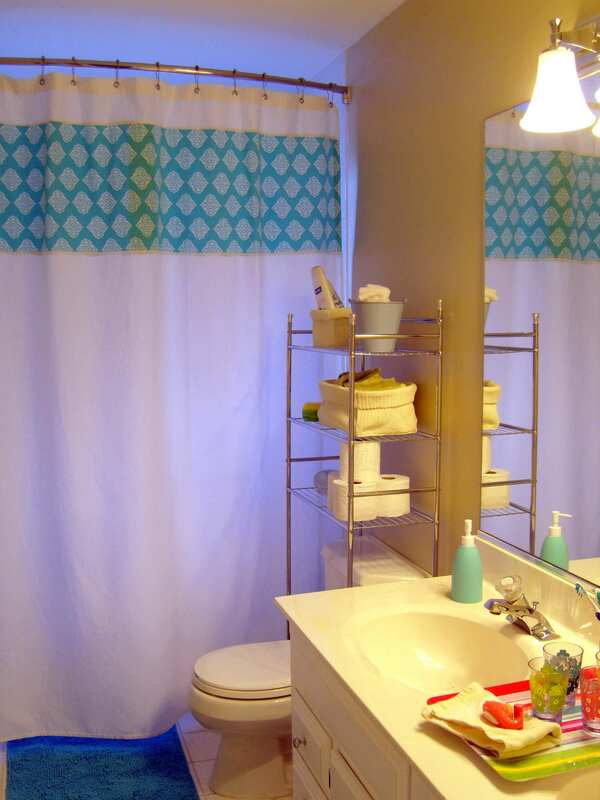 If your little ones are at the age where they are going to the bathroom on their own in the middle of the night, rope lighting underneath your cabinets can be switched on when you go to bed and can provide a fun bathroom night light for them. 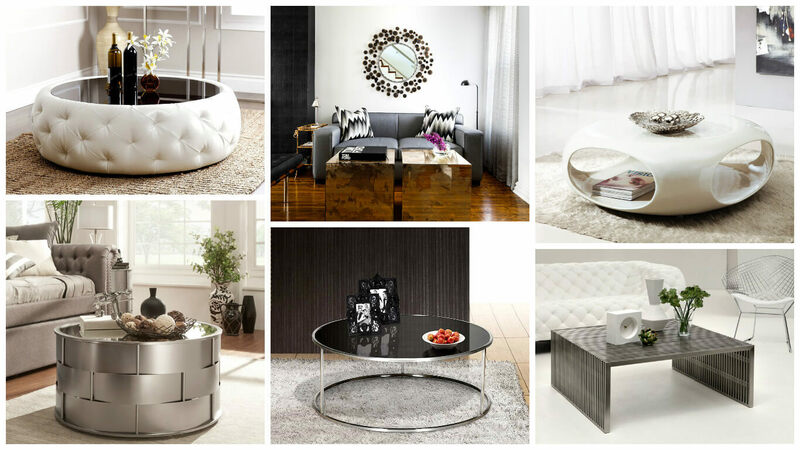 The great thing about these ideas is that they aren’t going to break the bank – most of these items can be picked up from your local supermarket or homeware store. Then all you need to do is a basic customisation to meet your needs, and you can even get the kids involved to do it!